In Guinea-Bissau the impact of those changes were already being felt in the economy for some time, especially due to a diminishing rainfall and the gradual rise in temperature. In terms of water resources, this can be seen in aquifers that have decreasing quantities of water and are more easily flooded by salt water, ground waters increasingly deeper and dried-up lakes; concerning the agrarian sector, production of Guinean staple food (rice), has diminished markedly, also due to the salinity and acidity of hydromorphous soils and the flooding of rice fields. Due to the fact that climate changes exert a negative influence on the quality and quality of water resources through a reduction in rainfall. 14 projects were chosen in order to achieve these strategic objectives including those on the Diversification of Food Production and the Improvement in the Supply of Potable Water in Rural Areas. Guinea-Bissau is situated on the West African coast (latitude 10º 59' N, between 13º 38´ and 16º 43´ W meridians). It has a surface of 36,125 kmÇ, maximum latitude of 193 km and a maximum longitude of 330 km. The country has common borders with Senegal to the north and Guinea-Conakry to the south and east, and has the Atlantic Ocean to the west. Its territory is divided into a continental zone and an insular one, the latter being constituted of a contiguous chain of islands - Jeta, Pecixe, Areias, Caiar, Como e Melo and the Bijagós archipelago, made up of 88 islands and islets of which only 21 are inhabited. Participatory evaluations of vulnerability and adaptation carried out under NAPA preparation and based on various sector studies-diagnoses, revealed that the sectors that ensure means of subsistence to the overwhelming majority of Guineans and that constitute the basis variability in weather patterns, namely: the agrarian sector (agriculture, forests and livestock), water resources, fisheries and public health. The United Nations Development Programme (UNDP) is working with the Government of Guinea-Bissau to ensure a new tranche of US$6 milion from the Global Environment Facility's Least Developed Countries Fund is used to improve climate services and early warning systems in this West African nation. The "Strengthening Climate Information and Early Warning Systems for Climate Resilient Development and Adaptation to Climate Change in Guinea-Bissau" project will work to enhance the capacity of the National Hydro-Meteorological Services (NHMS) in Guinea-Bissau, ensure the effective use of weather and water information to make early warnings, mainstream climate change information into long-term development plans, and work toward ensuring the sustainability of investments in new climate services. Guinea-Bissau consistently ranks among the most vulnerable countries in West Africa to climate change. The primary drivers of Guinea-Bissau’s climate vulnerability are physical exposure, dependence on agriculture and fishing. Guinea-Bissau is a rural country in which agriculture, forestry, fishing and livestock farming accounted for 49.1% of GDP in 2013. The economic wealth of Guinea-Bissau bases essentially in its natural capital. Even by African standards, little industry exists in Guinea-Bissau. Most of the population (about 82 %) work as subsistence farmers in an agriculture sector that is undeveloped and is largely based on rudimentary technology. Furthermore, the agriculture sector is dominated by the cashew nut monoculture. Over the past three years, cashew nuts have dominated Guinea-Bissau’s agriculture and national exports. In 2013, cashew nut production generated 11.9% of the country’s GDP and cashew sales accounted for 87.7% of total exports. According to the World Food Programme, 80% of those living outside the city of Bissau currently make their living from cashew nuts, which they use to trade for rice and other staple products. This can lead to a crippling dependence on a single crop for entire communities, putting their livelihoods and even their ability to feed themselves at the mercy of the harvest and international cashew prices. The fisheries also play a vital role for Guinea-Bissau’s government, with fees for fishing licenses providing 35% of government revenue. Climate change is predicted to have adverse effects on fisheries and fishing. Rising sea temperatures, changes in circulation, acidification and loss of nursery areas, are predicted to reduce fish populations. Meanwhile, in places with rich fisheries like Guinea-Bissau, the destruction of coral reefs and mangroves destroys fish spawning grounds, decreasing the availability of fish, limiting the livelihoods of fishermen, and leading to precarious food security. Additionally, low-elevation coastal zones stand out as Guinea-Bissau’s indicator of physical vulnerability. Most of Guinea-Bissau’s terrain consists of coastal swamps and mangroves, and over 19% of its land area lies in areas less than 10 meters above sea level. Increased flooding and saltwater intrusion due to global sea level rise could potentially affect these areas. Climate change has already begun to affect coastal farmers through saltwater intrusion into their rice paddies. Because of this, farmers who can no longer grow rice have shifted into cashew production. 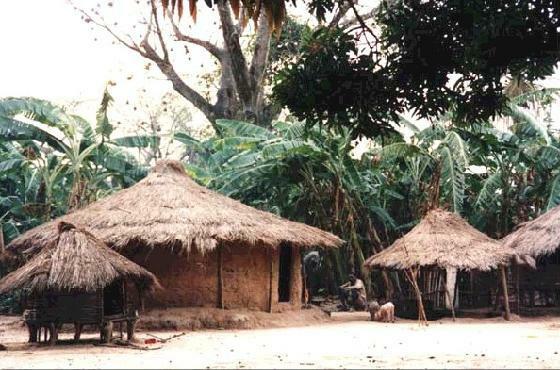 Like many of its West African neighbors, Guinea-Bissau faces rainy seasons and long dry seasons, with abrupt transitions. The West African monsoon that characterizes the region’s climate is less stable than its eastern counterpart, and long droughts such as those that affected the area during the 1970s and 1980s are possible. Northern Guinea-Bissau borders the Sahel region. Anecdotal evidence suggests that the long droughts that characterize the Sahel may be spreading to this region. Guinea-Bissau is also subject to climate related disasters risk, such as floods, storms, droughts grasshopper blights, disease epidemics (cholera, meningitis, and malaria), and sea accidents due to increasing sea surges. The cost of climate change and disasters is high in Guinea-Bissau. The cholera epidemic in 2008 affected 105,380 people with 3032 dead, the drought between 1987 and 2009 affected 132,000 people, floods affected 1,750 people in 2007, and tropical cyclones caused 2712 victims in 2009. To allow Guinea-Bissau to better manage climate related challenges undermining economic growth and development, it is essential to address a number of pressing challenges. These include the needs to: enhance capacity of hydro-meteorological services and networks for predicting climatic events and associated risks; develop a more effective, efficient and targeted delivery of climate information including early warnings to both planners as well as communities living on the fringes of climate induced pressures; and support improved and timely preparedness and response to forecast climate-related risks and vulnerabilities. These objectives require developing in-country robust weather and climate observation capability, including now-casting and forecasting infrastructure which can be rapidly deployed, is relatively easy to maintain, and simple to use. Such a weather and climate monitoring system can provide Guinea-Bissau with the capacity necessary to develop: (i) an early warning system for severe weather; (ii) real-time weather and hydrological monitoring; (iii) weather forecasting capabilities (Numerical Weather Prediction); (iv) agro-meteorological information and services (including integrated crop and pest management); (v) applications related to building and management of infrastructure; (vi) tailored products for the mining planning and management; (vii) risk informed land, air and maritime transport management; (viii) integrated water resources management; (ix) adaptive coastal zone and land management; and (x) adaptation planning and policy making processes. Outcome 1 - Enhanced capacity of National Hydro-Meteorological Services (NHMS) and environmental institutions to monitor extreme weather and climate change. Outcome 2 - Efficient and effective use of hydro-meteorological and environmental information for making early warnings and mainstreaming climate change into long-term development plans. Outcome 3 - Lessons learned by the project through participatory monitoring and evaluation, with special attention to gender mainstreaming, are made available to support the financial sustainability of the strategy. Output 3.1. Project activities and impacts on global, national and local environmental benefits of MPA assessed and monitored. Output 3.2. Project lessons and knowledge codified and disseminated nationally and internationally. This project brief gives an overview of the project, and details Issues, Actions, and Expected Impacts. Une délégation du gouvernement du Bénin a assisté à la Atelier régional de formation en Afrique Organisé par le PAG-PNA - Addis Abeba, Ethiopie, 21-24 Avril 2014. Le Gouvernement de Guinée Bissau a fait une demande d’appui du PAG-PNA en janvier 2014. Des discussions préliminaires ont eu lieu avec le gouvernement en Juillet 2014 à la coordination avec le Bureau de pays du PNUD pour lancer le processus du PAN. Les prochaines étapes consisteront à soutenir les consultations dans le pays sur le processus de NAP basés sur plus de raffinement d'un cadre de référence. In Guinea-Bissau the impacts of climate change have been already been having noticeable effects on the local economy for some time, especially due to a diminishing rainfall and the gradual rise in temperature. In terms of water resources, this can be seen in aquifers experiencing decreasing quantities of water and are more easily flooded by salt water, ground waters increasingly deeper and dried-up lakes. 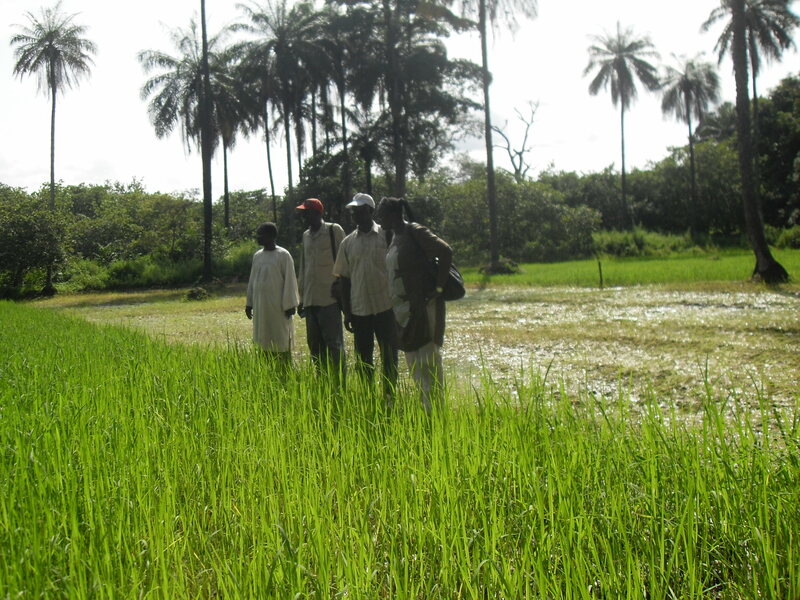 Concerning the agrarian sector, production of Guinean staple food (rice), has diminished markedly, also due to the salinity and acidity of hydromorphous soils and the flooding of rice fields. 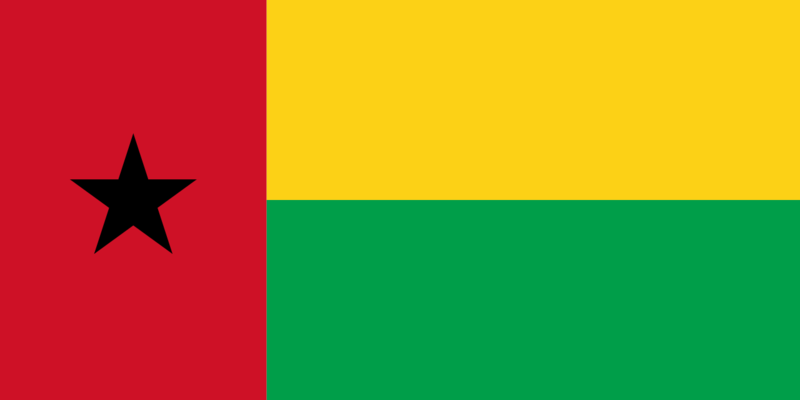 Guinea-Bissau is situated on the West African coast (latitude 10º 59' N, between 13º 38´ and 16º 43´ W meridians). It has a surface of 36,125 square-km, maximum latitude of 193 km and a maximum longitude of 330 km. The country has common borders with Senegal to the north and Guinea-Conakry to the south and east, and has the Atlantic Ocean to the west. Its territory is divided into a continental zone and an insular one, the latter being constituted of a contiguous chain of islands - Jeta, Pecixe, Areias, Caiar, Como e Melo and the Bijagós archipelago, made up of 88 islands and islets of which only 21 are inhabited. Preparation of an Integrated Management Programme of Coastal Resources (PGIRC), and its respective Plan of Action on the Coast (PAC). Strengthening of health-information system aiming at obtaining global and complete data about the epidemiological situation. Assist in the preparation of the second national communication. 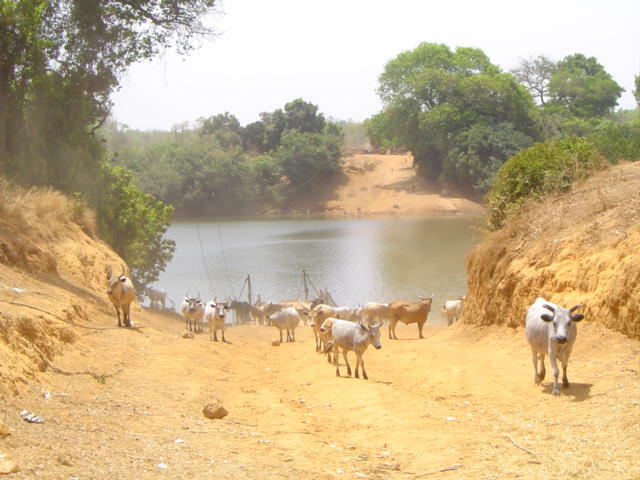 The Project Document, from March 2011, gives detailed information on the project - "Strengthening resilience and adaptive capacity to climate change in Guinea-Bissau’s agrarian and water sectors". The ProDoc includes a Situation Analysis, with the Global, National and Regional Context, Climate Change Context, Past and Ongoing Activities in the country, Related Donor Assistance, and a Barrier Analysis.